For those that are neither really good nor really bad. Experience has taught that few things in entertainment are more dissatisfying than a movie with an identity crisis. A comedy, ‘buddy cop’ actioner, and crime thriller all in one, Beverly Hills Cop delivers moderately in each of these areas but never fully realizes its potential in this mishmash of genres. Its cast certainly displays exceptional charm and talent: Eddie Murphy exerts a commanding, on-screen presence as the fast-talking, Detroit-based cop Axel Foley, who takes “a vacation” to Bevery Hills in order to solve the case of his childhood pal Mikey’s murder, Judge Reinhold and John Ashton provide a rare dose of the film’s humor as the uber-formal, by-the-book, often bumbling “supercops” with whom our hero teams up, Lisa Eilbacher is fine as Axel’s old friend Jenny, who’s unfortunately nothing more than a friend, and Steven Berkoff gives a surprisingly captivating performance as the scrumptiously vile, drug-smuggling antagonist. Their characters are fairly well developed and likeable, but they’re left floundering with the burden of a script that’s neither especially funny nor action-packed, too serious to qualify itself as a comedy and too slim to be designated as compelling drama. Although the movie sparingly touches on the dynamic between literal and spiritual interpretations of the law in the context of obtaining arrest warrants for criminals who pose an imminent threat, the commentary isn’t pressed nearly enough to make it one of the film’s central assets. The only truly outstanding attribute of this 80s title happens to be its soundtrack, which combines technopop lyrics and a really catchy instrumental theme for an unexpectedly appealing sound. 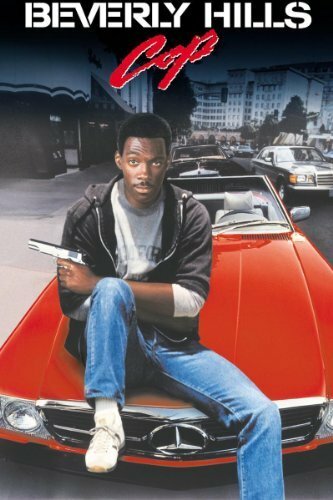 Beverly Hills Cop isn’t a bad movie by any means, but the degree to which one will enjoy it largely depends on how willing one is to give up the more conventional aspects of a given genre, be they consistent humor, action, or drama, for some well-written, animated, and memorable characters. As someone who rarely criticizes movies for being too long and indeed cherishes 2.5+ hour mammoths like Peter Jackson's King Kong, the LOTR and Dark Knight trilogies, and Sergio Leone’s old westerns, I speak against my own bias for epic stories when I say that The Impossible is a harrowing, realistic, eye-opening, and absolutely bloated biographical film about a family vacationing in Thailand that was profoundly and irreversibly affected by the devastating tsunami which ravaged Asian shores in 2004. Filled to the brim with crying, screaming, bleeding, gasping, coughing and dying in general, then eventually with hugging, kissing, and loving in general, this 114-minute feature would be better paced at 80-some minutes without losing the impact of its story, but it’s still a strong work nevertheless, being hampered only by its desperate effort to fill up enough time to be recognized for some stupid awards (disregarding, of course, that what most audiences consider the best movie/funniest home video never wins the #1 prize, as evidenced by the scads of movies on IMDB’s top 250 list which never got a golden trophy, much less a nomination). The makeup, special effects, and production design are all disturbingly believable, driving home the sheer horror of real-world natural disasters and the miraculous endurance of their survivors, a feat that the written word cannot accomplish as effectively. The absence of violence and human indecency in no way lessens the intensity of The Impossible, which stretches the PG-13 rating practically as far as it can manage in terms of graphic imagery. The excellent cast makes the victims’ shock and suffering even more palpable. Naomi Watts is arresting as a mother on the verge of death who masks her pain to comfort her son, and Ewan McGregor almost made me forget about Obi-Wan in his portrayal of a father restlessly scouring an alien landscape for his family, but newcomer Tom Holland nearly trumps both veterans as a spoiled teen who transforms into a man under the most trying of circumstances. In an industry where child roles are mostly dominated by utterly talentless actors, his performance is a welcome breath of fresh air and a symbol that Hollywood needn’t pass away with the next generation as retiring directors so like to prophecy. 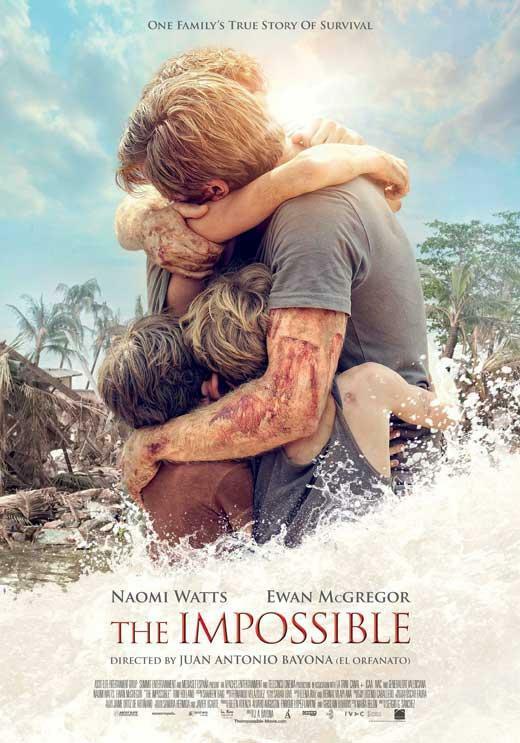 The Impossible is overlong, excessively sentimental, and poorly edited, especially in the final minutes when the separated family members run right past each other ad nauseum in cliché, Hollywood style, but it still conveys a potent message about the destructive power of nature and the folly of taking one’s life for granted. To say that The Bourne Identity boldly rewrites the action thriller formula would be an erroneous statement, but it does excel at delivering excitement, entertainment, and adrenaline within its fairly standard framework. Matt Damon plays Jason Bourne, a man who loses all his memory after taking two bullets in the back and nearly dying in the ocean. 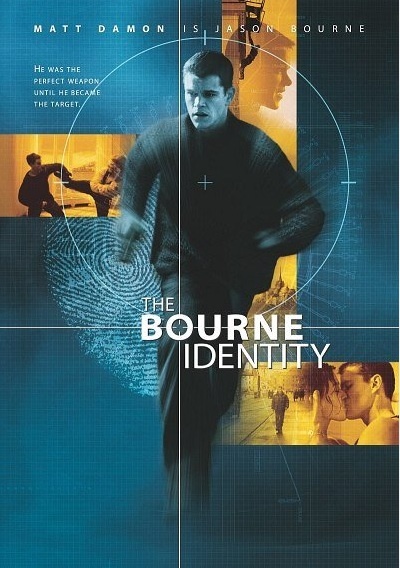 To his bewilderment, Bourne discovers that he possesses a versatile set of hyper-violent and observational skills that renders him a prime target for the Central Intelligence Agency, which immediately dispatches a horde of assassins to Europe when their person of interest make a memorable entrance at a Swedish bank to retrieve his personal files. “I can tell you the license plate numbers of all six cars outside. I can tell you that our waitress is left-handed and the guy sitting up at the counter weighs two hundred fifteen pounds and knows how to handle himself. I know the best place to look for a gun is the cab or the gray truck outside, and at this altitude, I can run flat out for a half mile before my hands start shaking. Now why would I know that? How can I know that and not know who I am?” In order to avoid drawing further attention to his whereabouts, our amnesiac pays off a financially desperate woman named Marie to drive him to Paris, but their short-term contract quickly complicates into a close alliance when the authorities trace their connection and Marie becomes an accomplice in whatever Bourne’s crimes happen to be. United by necessity, a thirst for independence, and love, the two lead their American enemies on a trek across Europe in a search for Bourne’s roots, engaging in car chases, shootouts, and brutal fistfights, all captured without excessive shaky camera, unnecessary special effects, or utterly implausible staging. In time, the C.I.A. agents realize that they have severely underestimated Bourne’s capability, and predator swiftly devolves into prey. The storytelling might irk some viewers who are accustomed to receiving an answer for every question raised by the narrative, but the movie’s writers, Tony Gilroy and W. Blake Herron, wisely recognize that a completely coherent and transparent plot often detracts from an intriguing one. The crux of this Bourne is not the reasons that compel the chase in the first place, but the thrill of the chase itself; just as Steven Spielberg’s first professional project Duel managed to tell a gripping story without offering a clear and logical explanation for the film’s central conflict, so too does The Bourne Identity focus on conveying an ambiguous yet compelling fight for survival, creating in this manner an ingenious effect whereby the audience’s confusion, tension, and energy equal that of the film’s main characters. On another note, if an analytical spectator looks underneath the flashy action that largely defines the movie’s tone, he can extract subdued but provocative themes of identity and self-determination that tie somewhat into Christian debate over Free Will and Predestination. As Bourne gains ever more awareness concerning his ever darker past, he wrestles with the life that he will continue to lead, wondering whether he even has a choice as to his destined profession. Is he obligated to follow the record he has thus far established, the path of a hired gun who wallows in depravity and lawlessness, or does he have the opportunity to start anew of his own initiative and walk a different course? The movie seemingly projects the latter answer to his predicament, making it distinctly Arminian and anti-Calvinist in a metaphorical sense, but perhaps I’m overthinking the whole thing. Contrary to what the many ChristianMingle ads playing during the TV presentation might suggest, this isn’t a religious movie. As I’ve already commented, the technical aspects of Bourne are really strong, with cinematography, stunts, music, and performances that tower above anything in similar action movies. Matt Damon brilliantly exudes Bourne’s tact, determination, and sometimes gentlemanly care, while Franka Potente believably portrays a woman who’s first repelled by then drawn to danger after meeting a strange amnesiac whose mass of contradictions only makes him more dashing. One needn’t ponder why Marie should fall for a man so brutal to his foes and chivalrous to his friends; to quote the eminent Phil Robertson, Jason Bourne is the ultimate redneck, kind of like the son you never had. They would never get out alive. Comedy This Good Doesn't Come Often.